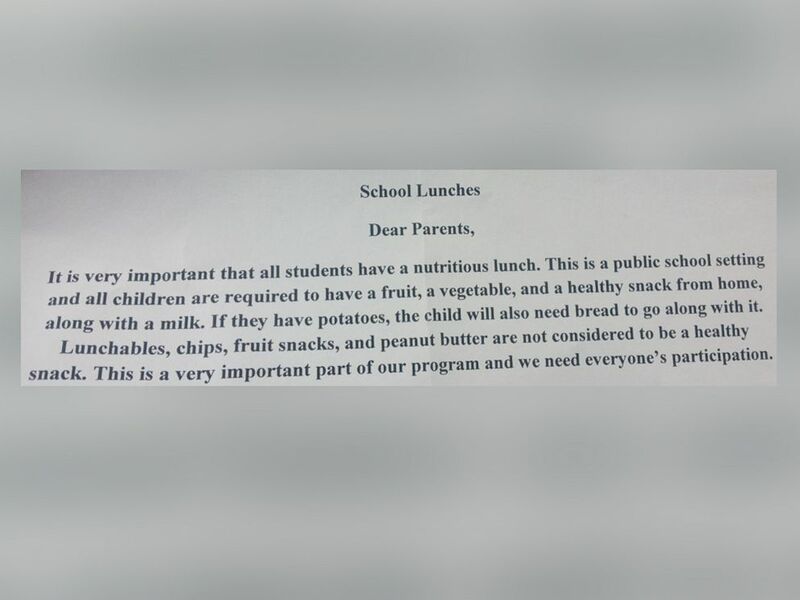 “Dear Parents, it is very important that all students have a nutritious lunch. This is a public school setting and all children are required to have a fruit, a vegetable and a healthy snack from home, along with a milk. If they have potatoes, the child will also need bread to go along with it. Lunchables, chips, fruit snacks, and peanut butter are not considered to be a healthy snack. This is a very important part of our program and we need everyone’s participation,” read the note, provided to ABC News by Pearson. Upon learning and reading about this, I was completely appalled and disgusted and shared in Pearson’s sentiments, when she expressed, “I think it is definitely over the top, especially because they told her she can’t eat what is in her lunch,” Pearson told ABC News. “They should have at least allowed to eat her food and contacted me to explain the policy and tell me not to pack them again.” I couldn’t agree with Pearson more. It is not the job of the school administrators or employees to police students’ lunches, especially NOT in this fashion. While I completely understand wanting to ensure each child is receiving and enjoying a nutritious and satisfying lunch and snacks, when in moderation, cookies CAN be acceptable. Reacting in this fashion seems to be extreme. As Pearson goes on to explain, she states that the Oreos were NOT her main meal. 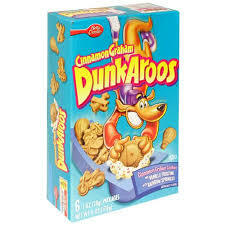 They were simply an accompaniment to a healthy and nutritious lunch. Also, the school administrator claimed Natalee was offered an alternative snack, but Pearson argues this was not the case and her daughter arrived home from school hungry. In a world where healthy and “clean-eating” is constantly spoken of and advised, what messages are we sending the children and adolescents of today? Instead of simply enjoying a meal and a snack, they are constantly faced with the debate of whether or not is made of “clean ingredients,” or organic items. It becomes frustrating an overwhelming at times even for me, so I can only imagine what it would feel like to be faced with this as an impressionable child. In my mind, healthy eating is allowing for the occasional indulgence, taking time to enjoy something new or different every now and then, instead of solely fixating on its nutritional composition. In a world where we are constantly chastised as a society on our outward appearances, what we’ve done or bought, it becomes overload to restrict even something like an occasional Oreo to a child, whose meals and snacks are otherwise healthy. Policing children and parents’ food choices is not the answer. In my mind, it only promotes unhealthy behaviors and a self-conscious mindset. 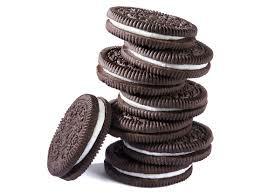 While Oreos may not be the picture of nutrition, it is not something to shame someone for occasionally enjoying. Good morning! I hope your week is off to a pleasant one, thus far. This week (today, in particular!) is slated to be one with significantly warmer temperatures and sun than in recent days. That being said, I’m definitely looking forward to the warmth and sunshine, but for a multitude of reasons. 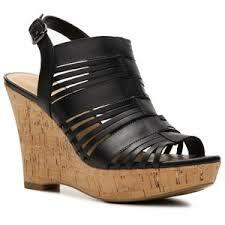 One of them being, the ability to wear open-toed shoes or sandals with ease and comfort! In my mind, there is nothing better than the ability to quickly toss on a pair of shoes, slipping into them with little effort and going on my way. 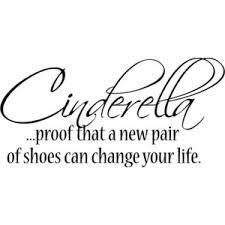 I’m a big fan of shoes with a heel or wedge and in the Spring and Summer months, the possibilities are endless! Shopping for shoes is always a fun experience for me, but mostly because there is a shoe store merely minutes from my home filled to the brim with an array of all types of shoes, sandals, sneakers, PLUS accessories (everything from jewelry, handbags, socks, wallets, etc). If you’re curious as to what store this is, there is a good possibility you may have a location close to your own home! The store I speak is none other than DSW (short for Designer Shoe Warehouse!). I remember the first time I heard it advertised on the radio. Having always been a self-professed “shoe-lover” (a term coined actually by DSW), hearing about all the different types of shoes and brands left me intrigued and eager to find a store location. Within months, there were several DSW locations located close to my home, plus one that is merely minutes away! Since then, shopping at DSW for not only shoes, but also accessories has been a consistent occurrence. Besides shopping in-store at DSW, I love to consistently check their website, occasionally their blog, and also follow along with them on their social media sites (i.e. Twitter and Facebook). They are an interactive company, constantly engaging with their fans and customers in a friendly, welcoming fashion. Anytime I’ve ever reached out them in-store or online, they have always responded with a pleasant demeanor in an accommodating manner. Plus, being a DSW Rewards member, it is easy to be consistently provided with certificates, making most purchases extremely affordable! Not only that, but on your birthday, a surprise gift arrives in your mailbox! Follow DSW on social media (i.e. Facebook, Twitter, Pinterest, Instagram, Polyvore, their blog – DSW Unlaced). Each Tuesday and Friday, DSW has FREE SHOES DAY! Curious about what this means? On Tuesday and Friday, on either Twitter or Facebook (they alternate, so be sure to check both on these days at 12pm EST when the question of the hour is posted.. remember, free shoes day is only between 12-1pm EST, so you’ll have to submit your answer BY THEN!) Several winners are chosen thereafter and within a couple days, a $50 DSW gift certificate arrives in your inbox if you are chosen as a winner! The question that is posted is done “Scavenger Hunt” style, where they will post a photo of a shoe, accessory, etc, or ask a question about their blog, store, website, and you’ll have to go hunt around to find the answer! Submit the answer on the form they provide and you’re done! Join DSW Rewards! It’s easy, FREE and really does REWARD you! Enroll either in-person or online and with each purchase, you can easily earn points and when you accumulate a certain number, you are rewarded with a $10 certificate with the ability to use it on anything! Plus, throughout the year, coupons will appear in your account at random times! Plus, you’re entitled to free standard shipping on DSW.com, for orders over $35 and on your birthday, you’ll receive a rewards certificate! DSW Rewards VISA: If you’re in the market to open a new credit card and are a big shoe shopper or DSW fan, consider opening a DSW Rewards Visa. 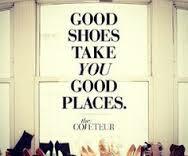 You’ll earn double points on all your DSW purchases (i.e. 20 points vs. 10 for being a DSW Rewards member only). Plus, you’ll earn points on outside purchases, so it makes earning reward certificates even easier! Download the new DSW App: A couple months ago, DSW unveiled their new app, which I immediately downloaded! When I downloaded the app, I was also rewarded with points, as an added bonus. On the app, you can log-into your DSW Rewards account, instantly see your points, use your certificates in store, access an online chat, and add shoes to your wish list! It makes shopping even more convenient and simple. A variety of payment methods: At some stores, the payment method is limited, but at DSW, the possibilities are significant. 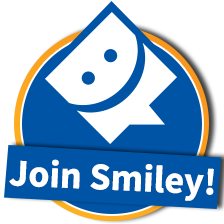 Everything from credit cards (their own and other such as VISA, Mastercard American Express, Discover, etc), cash, gift cards, and now Paypal! Well, there you have it! It literally PAYS to shop at DSW! 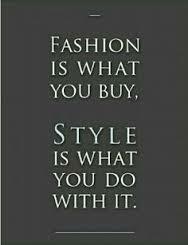 Great styles, great brands, great variety, and of course, great service! Prepare to be pampered when shopping at DSW! Good Morning, to you. I hope your weekend has been a pleasant one, thus far. I contemplated writing this post for the past several days after I first encountered the finding I will mention momentarily. Perhaps you’ve personally experienced this, yourself. Having an ex-significant other as a friend on Facebook and periodically “checking,” their page to see what they’re up to. It’s not really that you’re still interested in them or pining for them, but merely, you’ve fallen into the “curiosity trap.” It’s so very easy to type in any name and instantly see snapshots of their life appear and though it may present as something completely different than their actual reality, if you don’t personally see them anymore, there really is no way of knowing the truth vs. what you’re seeing on their page. This instance for me, though, was slightly different. To provide some brief, background knowledge. Back when I was 15-years-old, the summer leading into my sophomore year in high school (which for me, was technically my “first year” in high school, because 10th grade started the high school building, since my middle school went up to 9th grade), my best friend at the time and I met two guys at our local mall. Back then, I was bubbly and overly-excited about all the new people and adventures I would encounter when starting the high school building. When my friend and I first met those two guys at the mall, I didn’t very much like the one (let’s call him “M”). I found him to be off-putting, unfriendly and certainly not interested in me at all, though I did find him physically attractive. Still, the physical attraction was not enough to entice me or even begin to romantically consider him. The other one, was funny, talkative and outgoing (let’s call him “T”). Physically, I wasn’t all that attracted to him, but his personality appeared to shine through and in turn, he became attractive to me in a sense. We all exchanged phone numbers (or at least I believe we did, anyway) and from that point forward, I actually began talking on the phone to M every day on the phone. After arriving home from school, him and I would chat for what seemed like hours. He started to call me each day on his way to work, on break from work and so forth. At first, we started talking about his friend, T, when I expressed interest in him. Before long, it became apparent, that my feelings towards M were starting to change. At that point though, everything was still new to me. It was a new school year, a new school in general, and my only concerns centered around what I was doing on the weekend, whose parent was chauffeuring my friends and I to the football game and then afterwards to visit a local eatery. At that point, life was good and I was thoroughly enjoying being a teenager. In fact, it’s probably the fondest part of my life, I can really recall; a time when I was truly happy and at ease within myself. 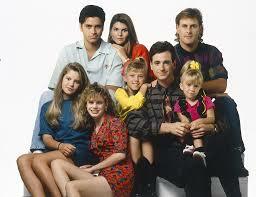 My life was finally starting to take shape back then. I remember feeling excited about each day, thrilled to finally have that “teenage life,” so often described in books and magazines I read, or in movies and TV shows I watched. My friendship with M started to take more of a shape, as we made plans to hang out as a group. He asked if I would like to come along to his town’s harvest day (a town I actually now live in, today). Though I didn’t know any of his other friends, I was excited and eager to explore and see what his town and friends were like. My mom dropped me off and I ended up spending much of the day with him and his friends, though it was really him I spent most of the time talking to. I felt grown up as I strolled through his town with him, having been on my own, away from my solid group of best friends, really for the first time. After that day, M and I talked even more and it became evident something beyond friendship was slowly developing. With Halloween fast approaching at that point, M asked me if I would like to join him and two guy friends on a hayride and haunted house adventure at the local farm. Having never been there before, I eagerly accepted and felt no fear being the only girl around three guys. That night, things changed between M and I. Though him and I never officially shared a “title” solidifying our relationship, I always look back to him as my first boyfriend. He was the first guy who ever drove me alone in a car, and I remember that first time as clear as day. It was a Sunday afternoon and though we were only driving to our local mall, I felt grown up and independent, as though I was truly a woman now. I remember how surreal it was, sitting next to a boy driving me alone in the car. I felt so feminine and free, so excited for what the future was to hold. I was carefree and swept in a sea of euphoria. After several quick weeks, I came to know his car quite well; every scent, every dent, each of his movements. Though at the time I believed my feelings with him were love, I came to know, years later, they were that of infatuation. I was enthralled with the idea of him and looking back, my relationship with him was nowhere near functional. Many nights, I sobbed myself to sleep, or would call my sister, away at school, crying into the night, asking her time and time again, why it was so hard and if it would get easier. Finally, in April of my sophomore year, I saw him for what would be the last time, though for months after, I still thought of him nearly each day. I wondered about him and hoped that he would come back to me and finally make the commitment I longed for all year. Periodically, he’d message me or send a text message to which I would reply, but then they started to drop off, as well and I began to realize, I simply didn’t care anymore. I had moved on and closed that part of me that felt wounded and broken. I realized at that part, I didn’t feel that sense of longing for him anymore, that he was no longer the central focus of my heart and mind. For years after, even as recent as a couple years ago, he would occasionally message me and ask to see me, and would apologize for hurting me. His apology, though, meant nothing to me at that point, as I tried my best not to reopen the wounds that had taken so long to heal. The reason why I recount this relationship, if you can call it that, which happened so many years ago, at this point, is because I fell into the trap of venturing over to his Facebook page. Facebook friends for years, I defriended him about a year or so ago, not wanting to see what his life was like at this point. He is married now, which I knew when I defriended him. Though, the other day, my curiosity got the best of me and I typed his name into Facebook, wondering what his married life was like for him, now. Within moments, I saw it. The smiling picture of him and his wife, holding a onesie, confirming their pregnancy. My first instinct, was to cry, then it became anger, and then, nothing at all. I clicked off his page, took a deep breath and tried my hardest to expect the truth and ultimately, reality. I came to realize, my emotions were not because I felt sadness in seeing him married and expecting a child, but because I am disappointed with my own life. I’m not where I want to be and it’s often difficult to see others moving forward and experiencing all I thought I would have at this point. It’s important for me to be accepting of who I am and where I am today. I am not what has happened to me and I can choose to accept the current state of my life, realizing that it is capable of being changed. I’m not the 15-year-old girl I was when M and I first started dating, I am a 26-year-old (27, as of next Sunday), who is simply working to come to terms with who I am. I’m guilty of it and perhaps you are, too, whomever you might be, reading this post of mine. Lying in bed, you glance at the clock and realize it is minutes before you must get out of bed, attempt to make yourself presentable and progress through another day. Though prior to rising of your bed, you grab your cell phone lying on the nightstand adjacent to your bed, eager to peruse the latest happenings on Twitter, Facebook, or your other social media platform of choice. For me, this morning, as with most other mornings, my choice was Twitter. Scanning through many seemingly meaningless tweets, I arrived at one by one of my favorite fiction authors, Jane Green. In her tweet, she provided a link to a website, simply tweeting, “So thrilled to be hosting the Booksparks Summer Reading Challenge this year! And I cannot believe the amazing… (then she inserts a hyperlink to her Facebook page, where she details the aforementioned “challenge.”) Needless to say, I was intrigued and contemplative. The overall premise of the challenge is to read a new book each week. Bloggers can sign up to participate and review a book per week, as they complete them. Non-bloggers who are book lovers, can still join in the fun and read a book per week and tag the books and the challenge in their social media posts to win prizes throughout the summer. If you’re eager to participate, the sponsors of the challenge encourage readers to RSVP on the event’s Facebook page. Each book is a new “destination” (i.e. set in various locations, such as Los Angeles, Montana, etc). Scanning through the list of selected novels, some, but not all are appealing to me after reading through the descriptions and also heading over to trusty Google to learn more about each book. For those I am interested in reading, rather than purchase each book, I logged into my account on my local library’s website and requested them. Some of the books are new and yet to arrive on book shelves, so it is necessary to wait for their arrival. One book in particular, truly captured my eye and mind, becoming the muse behind this very post. Rapidly approaching my 27th birthday, I can relate to Hannah’s sentiments, unsure about what to do with my life. Like her, I’ve had several different jobs since graduating from college nearly five years ago. I’m not at all where I thought or hoped I would be, way back when I was a teenager. I would think of my twenties and believe it would follow the pre-determined pattern I set for myself – graduate college at age 22, fall in love, have an excellent career, attend graduate school then graduate, get married, have children and carry out a domestic life while being a career woman. To me, there was no “in-between,” or room for life to happen. I operated under the immature assumption that life will transpire in the way I want it to, simply because I said it would. Now as I am edging further into my late 20’s, I realize that the choices and decisions I made often haunt me, each and every day. I realize that we don’t always have control over the things and events that happen to us and in all honesty, it took me years to come to terms with this truth and realization. Sometimes, it’s still hard to accept it. Now more than ever though, I realize that while I may not have control over everything that happens to me, what I do have control over is how I respond to it. I can choose and control the way I respond to each hardship and obstacle thrown my way. I’ll never know what might have happened if I made a different choice years ago. I don’t know if had I made a different choice 10 years ago if I would be married, or a mother today. I don’t know if I would have had the fulfilling career I always dreamed if I had chosen a different path for myself. It’s hard to believe that nearly ten years ago, I was about to turn 17-years-old. It was a poignant time in my life, because a lot of the choices or decisions I made way back then, as a teenager still impact and affect me today. Those choices and situations shaped the last decade of my life. When I look back, I wonder what might have happened if I had used my words instead of actions to communicate my internal sentiments. 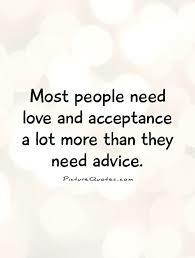 More so now than ever though, I try to practice more self-acceptance, realizing how important it is to accept the choices I made, realizing that it was what I felt was best at that moment. I was young then and yes, while I still am young, back then I operated in the mindset that the choices I was making then would have little or no influence on my future. If I had known what I know now, I can’t be confident in saying I would have made the same choices. Sometimes I wish I could go back and be a friend to my teenage self. The things I felt were of the utmost importance then seem so trivial now, but that is apart of life. It is apart of what it means to be young, taking risks and chances that might leave our future selves scratching our heads and contemplating about what we were thinking back then when we made those choices. It’s important to note that the choices I made in the past are reminders to me of what not to do today, or at least provides me with a snapshot of what will happen if I make those choices again. The pain of yesterday’s decisions sometimes radiates through me today, especially when I see or encounter people of my past. I can still think about the events and situations of yesterday, but this I know now: I can choose to not be reduced or defeated by them; I can look towards the present today and tomorrow, realizing that while I might not have made the best choices in the past, I can still make better choices for tomorrow and beyond. It’s funny how reading a brief description of a novel can trigger an entire outpouring of memories and sentiments and a question for a myself: What if I decided to let life happen as it does and adjust accordingly? That, my friends, I CAN choose – in fact, we all can. Smith’s, MILLY line for Kohl’s is vast, featuring everything from dressy t-shirts, bottoms, sleek dresses and skirts, in addition to a line for younger girls (in sizes 4-6x) so she can match with her mommy, sister, aunt or any other woman in her life! It truly is a unique style for any female and allows women to sport color and fashion for considerably lower prices than what is found on the runways. Plus, as with mostly everything with Kohl’s, coupons are able to be used and sales are always occurring. Having honed many her skills working in top Parisian fashion lines, the Parisian sophistication definitely shines through in Smith’s pieces and I, for one, absolutely love this European flair! Pairing a t-shirt and a sleek skirt isn’t typically a style I would typically embark on, but from seeing it in the MILLY line, I think it is a look I will have to try! 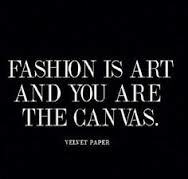 Fashion is one area where I will fully indulge in creativity and the possibilities are endless! There’s no better time to be fashionable than the Spring and Summer months and after seeing the new designer lines hitting stores shelves (i.e. this MILLY line, Lilly Pulitzer for Target, etc), it is definitely possible and achievable. Good morning! I hope your week is off to a good start so far, in spite of the weather (if it happens to be inclement, where you’re located). Here, in Pennsylvania, it’s rainy, dreary and chilly. After the beautiful weekend we had, it’s quite a contrast. Though, as the saying goes, “April showers bring May flowers.” Let’s hope that is the case! 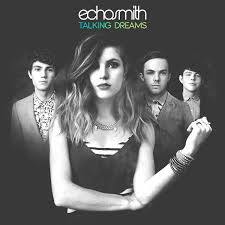 Hailing from Chino, California, Echosmith is a band which formed in 2009 and is comprised of siblings (Graham, Sydney, Noah and Jamie). They are young, but considerably talented, ranging in ages from 16-22) and are most noted for their songs, “Cool Kids,” and most recently, “Bright.” Their lyrics and musical abilities are impressive and captivating. Often when their songs are played on the radio, I stop and listen not only to the music, but to the lyrics, personally relating to them. The lyrics might be simple, but sometimes, simple is best and often most powerful. 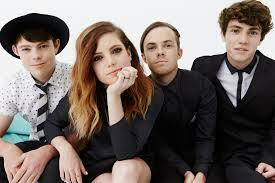 I heard them perform “Cool Kids,” live on The Ellen DeGeneres Show a couple months back and they did not disappoint. Unlike many other bands and musicians, they sounded nearly identical to their recording and their passion for music proved to shine through. 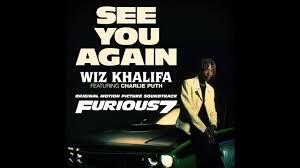 If you’ve listened to the radio lately, watched several talk shows, or saw the latest Fast and Furious movie in theatres, then you’ve probably heard or encountered the song by Wiz Khalifa featuring Charlie Puth – “See you Again.” If you haven’t then I hope you’ll take a listen when you get a chance. When I first heard it, I didn’t realize it was a dedication to the late Fast and Furious star, Paul Walker. 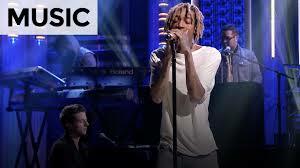 However, after watching Wiz and Charlie’s performance of the song (also on The Ellen DeGeneres Show), it became clear to me. Given the release of her latest CD, I couldn’t possibly post about music without mentioning one of my favorite singers, Kelly Clarkson. Since first appearing on American Idol on their first season, I’ve been a fan and follower of hers. I’ll never forget the first time I heard her voice, I was an impressionable middle-school student, sitting at the large desktop computer upstairs in my house, with the TV blaring in the background. I wasn’t paying attention to the TV, but suddenly turned to watch when I heard a powerful voice echoing. From that moment on, she has been a favorite of mine, not only for her incredible voice and catchy songs, but also for how secure she appears to be within herself. Lately, the media and people in general have not been quite so kind to her in regards to her body, but she has maintained a confident presence, staying true to who she is and emphasizing she is happy and in life, that is what is most important. Her confidence and trust within herself is something to me I aspire to emulate. In life, it is often so challenging (or at least it is for me, personally) to ignore the words others might say about me or what I think they are saying about me, but Kelly is a constant reminder of how possible it is to overcome these harsh words and criticisms. I love how she is teaching her baby daughter, River, to trust within oneself and realize health and happiness is paramount over numbers on a scale or the way clothing fits one’s body. People are often so quick to place judgments and assume people are one way simply because of how their body appears. We are more than our bodies and I’m so glad Kelly is an advocate for this perspective. 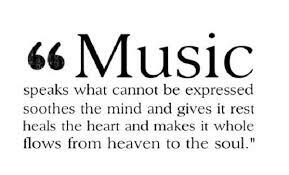 Music has always been a consistent presence in my life. I often forget how powerful and inspirational it can be. Often when I become overwhelmed, simply listening to a favorite song, or singing along to a favorite song has the ability to transport me to place of calm, where I can delight in the lyrics and the melody and recall fond memories.